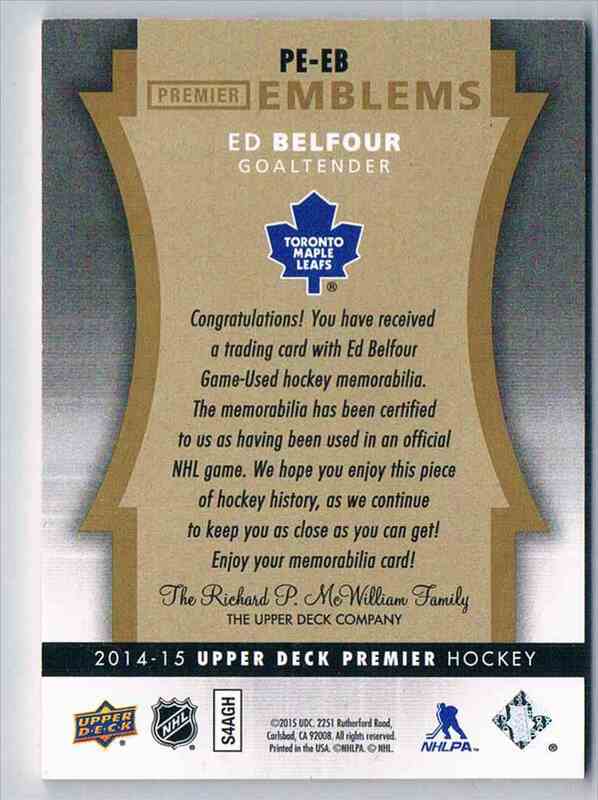 This is a Hockey trading card of Ed Belfour, Toronto Maple Leafs. 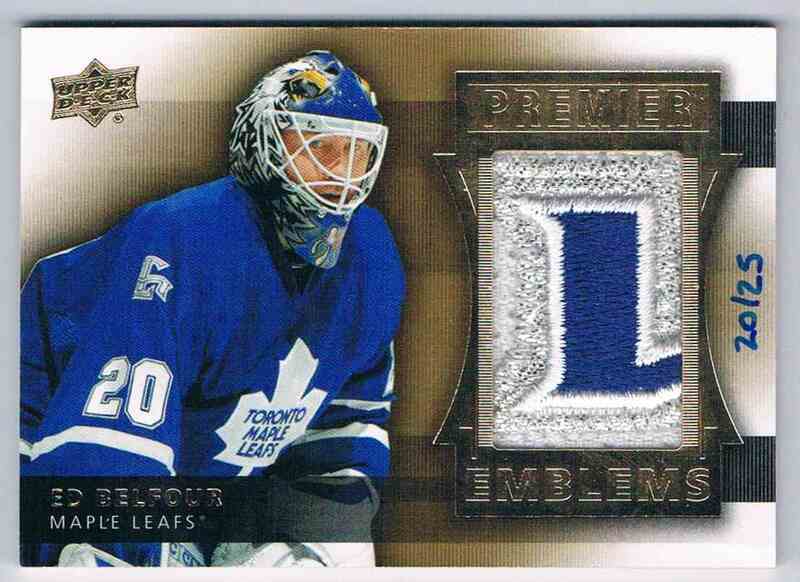 It comes from the 2014-15 Premier Patch Emblems set, card number PE-EB, embedded Patch 3 Colors, serial numbered 20/25. It is for sale at a price of $ 125.00.